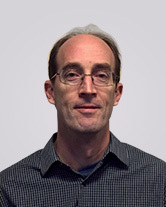 Dr. David Diller’s has more than 20 years of drug discovery experience emphasizing computer- aided drug design including many applications in bioinformatics, cheminformatics and molecular modeling. Prior to Venenum, he has spent time in midsized biotech, large pharma and startups with utilizing expertise in a wide range of molecular modeling and data analysis techniques and applications in for therapeutic areas including, immunology, oncology, antibacterials, and neuroscience. Dr. Diller began his industrial career at Pharmacopeia in 1999, ultimately becoming the head of the molecular modeling group. During this time he spear headed a kinase initiative to improve the success rates in kinase drug discovery. This effort contributed significantly to the discovery of several new kinase target chemotypes, collaborative milestones, and a clinical candidate. Furthermore, his group developed desktop software for both library design and, med chem data analysis, and property prediction. After Pharmacopeia, he joined the computational chemistry group at Wyeth where he continued drug design with an emphasis on Neuroscience targets and ADME modeling. In his recent experience in startup biotech companies, he gained valuable experience in anti-bacterial drug discovery and peptide design for disrupting protein-protein interactions (PPIs). At Snowdon PharamceuticalsPharmaceuticals, he applied virtual screening techniques to discovery 3 three separate lead series of antibacterial molecules. Most recently, at CMDBioscience, he and his team both developed and validated a platform for computational peptide design and successfully applied the platform to the design of peptides to disrupt PPIs in two hematological cancer programs. Dr. Diller earned a B.S. degree in Mathematics from the University of Dayton and a PhD in Mathematics from Northwestern University. He has published more than >40 scientific papers and presented at more than 50 scientific conferences. He is currently on the editorial board for Current Computer Aided Drug Design and Computational and Mathematical Methods in Medicine.